When 28 fearless young women of the TechGirls program came to the Virginia Tech campus in July, the three computer science professors and four female teaching assistants didn’t quite know what to expect. They customized a Java programming class for the TechGirls and structured the classes to provide every participant with individual attention when she needed it. By the end of the two-week period, the TA’s felt re-energized, as the TechGirls’ attitudes were contagious. Learning programming takes tenacity, creativity, bravery, inventiveness, and perseverance. For the TA’s, the journey served as a reminder as to why they initially chose to pursue the fields of technology and STEM. In addition to benefiting the next generation of women in STEM, Virginia Tech’s faculty customized a brand new coding course, which has, in turn, elevated the university’s computer science department to new heights. 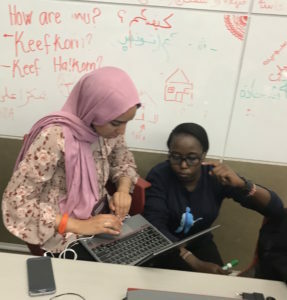 Moreover, the mentorship provided by Virginia Tech reached far beyond the teaching assistants that worked with the TechGirls. 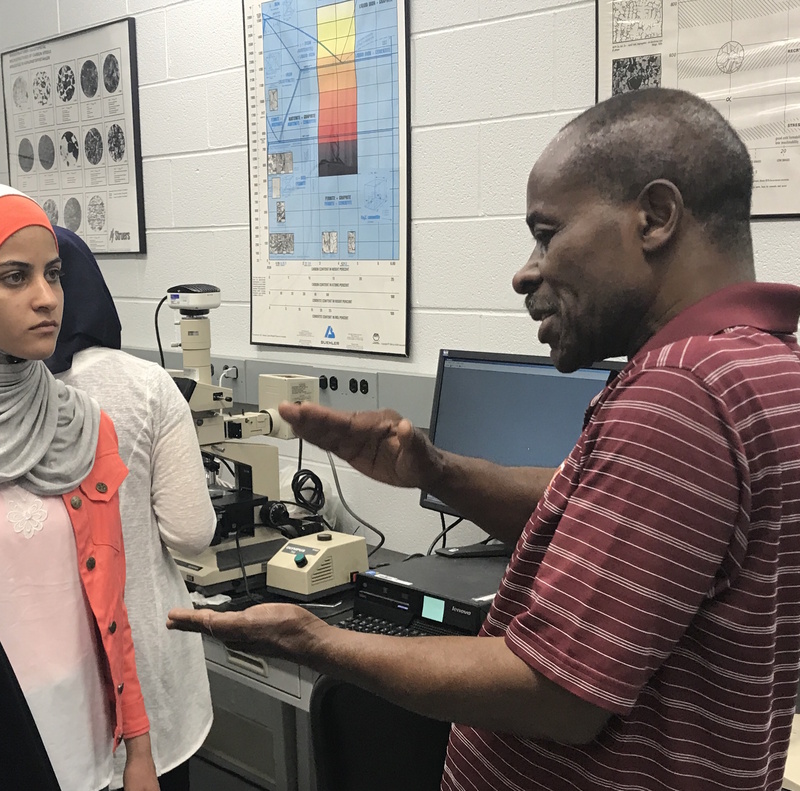 During their stay, the TechGirls interacted with 28 additional students, instructors, academic and career advisors, program coordinators, and professors at the university. 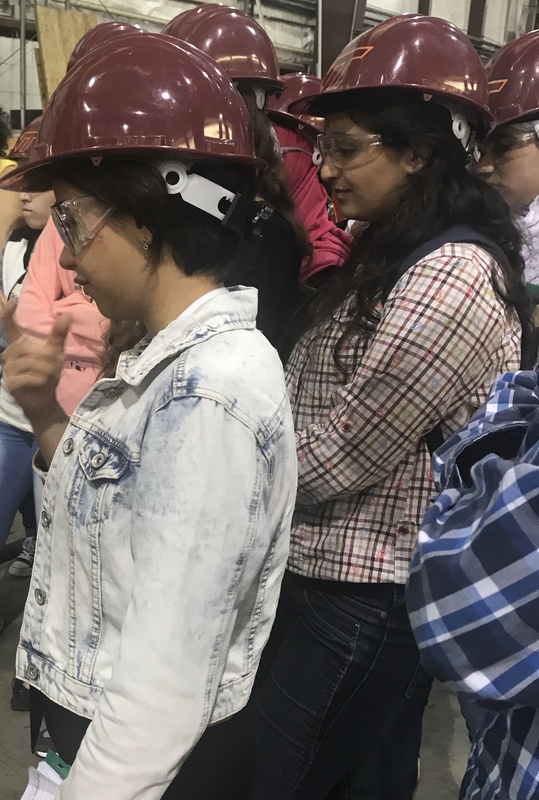 The young women from across 7 Middle East and North African countries received a comprehensive and exclusive opportunity to delve into the STEM field from all angles. In return, the TechGirls shared stories and information about their cultures with everyone they met at VT—reinforcing the notion that mentorship and cultural exchange have no age or geographic limitations. The TechGirls were not only exposed to technology and STEM, but were also encouraged to pursue these topics as potential, future careers by both the students and faculty. Across the board, the resounding message imparted to the participants was one of persistence, determination, and no hesitation. 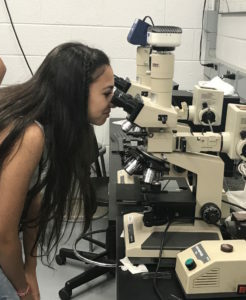 Lindah Kotut, one of the TA’s and a 2nd year PhD student at VT summed it up when asked what advice she would like to impart to the next generation of women in STEM. It doesn’t matter what area you like. Do you like art? You can do computer science and merge it. Do you like law? You can merge it together. Do you like medicine? Yeah—whatever you love you can enrich it using tech. It allows you [to] expand and reach better people, it allows you to know more about yourself—to discover things about yourself. You can find people who are in the niches you are in. There’s a huge community of tech women, especially. There are resources for women. Just the only thing you have to do is dip your toes into it. What do you have to lose? It’s challenging, it’s fun, it’s new every time—there’s always new things coming up. You keep learning and that is the best thing about it—you keep learning something new every day and it’s so rewarding. These international exchanges, supported by the Bureau of Educational and Cultural Affairs at the U.S. Department of State positively impact American providers as much as the exchange participants selected to participate in them. They call upon us to harness our spirit of innovation and ingenuity and share it to benefit the world’s next generation of leaders. Legacy International is happy to partner with CEED at Virginia Tech for the second year and looks forward to more collaboration in the future.